August 22 is Eat A Peach Day, a national food holiday in the United States of America. The peach fruit is juicy and sweet and has a lovely aroma, covered in a somewhat hairy skin which can either be creamy-yellow or white in color. It has a single seed in the middle which cannot be eaten. There are two kinds of peaches, namely the free stone, wherein the stone is detached or can be easily set apart from the skin, and the cling stone, wherein the skin and the stone are attached to one another making it very difficult to separate them. A peach gives a lot of health benefits as it is loaded with nutritional value. Aside from the fact that it is low in calories and contains no saturated fats, it is also a fruit packed with vitamins and minerals. Not too many are aware of the fact that the peach is an anti-oxidant as it contains vitamin C which helps strengthen the body’s immune system by fending off harmful bacteria. The peach is also rich in vitamin A which can be quite helpful for maintaining healthy skin and offers protection against lung cancer. It also contains iron to help regulate the formation of red blood cells and potassium which helps control blood pressure and your heart rate. The peach is helpful in preventing dental cavities as it also contains fluoride. The scientific name of the peach is “Prunus Persica” which means “Persian Plum.” Hence, the peach is regarded as a close relative of the plum family. There was a wrong notion that the peach came from Persia, following the translation of its scientific name. However, the scientific name of the peach actually depicts its journey to Persia coming from China. In any event, peaches are known to have originated in China as it was regarded as a symbol of friendship and immortality. It found its way to America when Christopher Columbus brought it in during his second and third voyages. By the year 1565, the first peach orchard was set up in Florida. In the United States of America, Georgia is known as the “Peach State.” The harvesting season for this fruit runs from June to August. The celebration of Eat A Peach Day is actually beneficial since one peach can help your well-being. Eating a peach can help out in dietary problems or obesity problems since we will feel stuffed after eating it which will thus prevent us from overeating. It can also help reduce the probability of hair loss and can even be an effective tool to reduce stress. 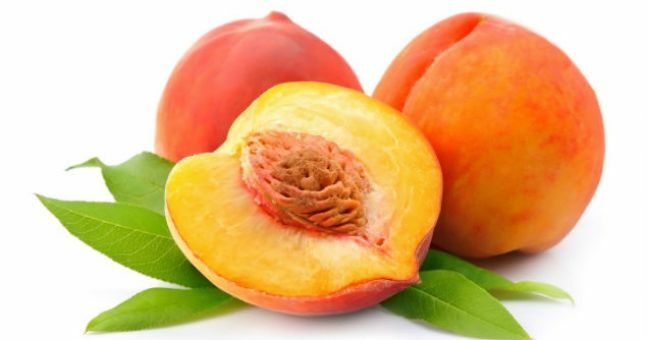 In Hungary, the peach is regarded as the “Fruit of Calmness.” It can also serve as a good cleansing agent as it can be used to remove worms in your intestines and even clean your bladder and kidney. For people who have stomach problems, the peach can easily calm the tummy. Doctors have even recommended the consumption of peaches to patients who have gout or are suffering from rheumatism since this fruit is diuretic.